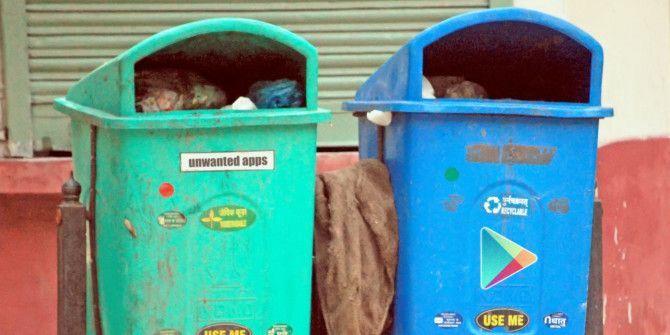 We’ve previously shown you a number of ways to bulk uninstall apps you don’t use The Clean Droid: How To Bulk Uninstall Android Apps You Don't Use The Clean Droid: How To Bulk Uninstall Android Apps You Don't Use If you're like me, there's a good chance you install lots of Android apps to try them out. From the latest popular mobile games to new and potentially useful utilities, these apps build up over... Read More . First and foremost amongst those was Titanium Backup (reviewed here How To Complete A Full Backup Of Your Android Phone [1.6+] How To Complete A Full Backup Of Your Android Phone [1.6+] I've been using Titanium Backup ever since I got my first Android device. I love backup applications (for PC and otherwise), and Titanium is as good as it gets. In this short introduction I’d like... Read More , and again mentioned as an uninstall tool here How To Freeze Or Uninstall Apps That Came With Your Phone [Android] How To Freeze Or Uninstall Apps That Came With Your Phone [Android] One of the biggest problems Android has is that vendors are obsessed with the concept of somehow “adding value” to their devices. 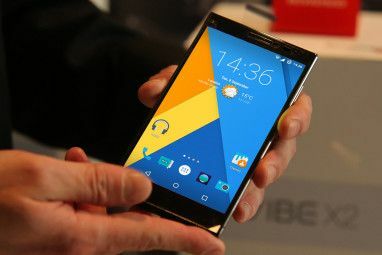 Instead of just shipping Android as it was meant to be used, Samsung,... Read More ). And while $6.20 Titanium Backup is truly a stellar utility and does get the job done, it is primarily a backup utility, with uninstallation features thrown in just for good measure. What if there was a bulk-uninstall tool that was focused just on that one task, making it as easy as possible? Well, there is: $2.60 utility App Master. If you click that Google Play link, you will see the base utility is free, but we are going to purchase its unlocker so we can get a feel for its full power and convenience. Before you continue, you should know that to really make use of App Master, your phone must be rooted. If you’re unsure about how to root your phone or what that even means, you should read our Android Rooting Guide. A more focused experience: App Master is only about uninstalling your apps. With Titanium Backup, you must navigate submenus and an ocean of batch actions until you get to the uninstall feature. App Master puts it front and center. A more modern look and feel: Titanium Backup literally looks like the granddad of Android apps. It’s been there forever, and it shows. App Master looks far better. Better and safer usability: When you access Titanium Backup’s batch uninstall mode, all of your apps are selected for removal by default. Needless to say, that’s risky – and you must tap Deselect all to avoid them all being removed. This is not an issue with App Master – nothing is selected by default. Better information about every app on your system: Titanium Backup lists only names; App Master shows icons, names, sizes, and update dates. Clearer filtering: As you can see above, App Master cleanly separates user apps from system apps, without you having to fiddle with any complicated filters (something Titanium Backup requires). Of course, in between these two screenshots there’s a Google Play step where you actually get the unlocker and pay up. The unlocker is a separate app, which is better than in-app purchases because it can be more easily backed up, and does not require you to log into App Master with an account. Above you can also see what the unlocker gives you. Our whole point here is the “batch silent uninstall” feature, which basically means you can select a number of apps for removal and App Master uninstalls them all without you having to confirm each individually (a major pain when trying to clean out your phone). The big touch targets make it easy to select apps. The entire row is a tap target – touch anywhere to select that app for removal. For example, I saw Holo Light Minimal, but wasn’t sure whether it was a theme or an icon pack. Tapping its tri-dot button and then Market detail clarified that in an instant: I was taken to its Google Play page where I could clearly see it’s an icon pack I’m not using at the moment, so it’s safe to remove. As you can see in the right screenshot above, App Master will then confirm, and by default offer to move your apps to an internal “recycle bin.” This is nice if you don’t use Titanium Backup, but really, I hope you already have some sort of robust backup strategy in place – in which case, you’re not going to need this. This is when you’ll first see App Master prompting for root permission – right before it actually needs that permission to do what you told it. It will then backup each app (if you told it to) and remove it. 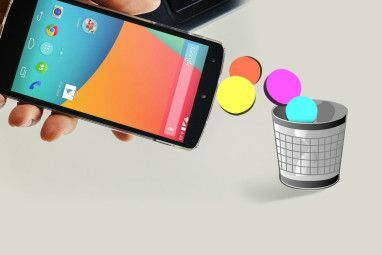 If you are looking for an accessible, simple, and straightforward way to bulk-remove apps from your Android Device, it is safe to say App Master would serve your needs better than Titanium Backup. 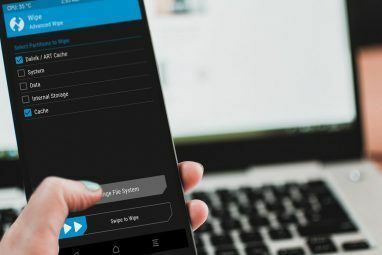 I remain a loyal Titanium Backup user for what it was originally meant to do – backing up your Android apps – but when it comes to uninstalling things, App Master’s just plain better. What do you use to bulk-remove apps you don’t use? Will you be giving App Master a try? Let me know in the comments. So in order to use AppMaster your device must be rooted? Am I reading it right? This is my goto app for my rotted droid. Just curious though...How come I can no longer find it on Google Play? Which app provides the superuser request screen? I use SuperSU but it shows a different screen. This is the one built into CyanogenMod, for me. App Master is the free download of the day (11/08/13) on Amazon's Android app store. App Monster Pro, is the Amazon free download, another nice program.